I was shocked when I realized that I had never included an article about the Parachute Adams in this newsletter. Not only is it one of the best dry flies in the Smoky Mountains, it is arguably the best dry fly for trout in the world. It doesn’t imitate anything in particular but just has a buggy look and serves as a great “generic” mayfly imitation. In a pinch, it could also pass for a number of caddis and midges. 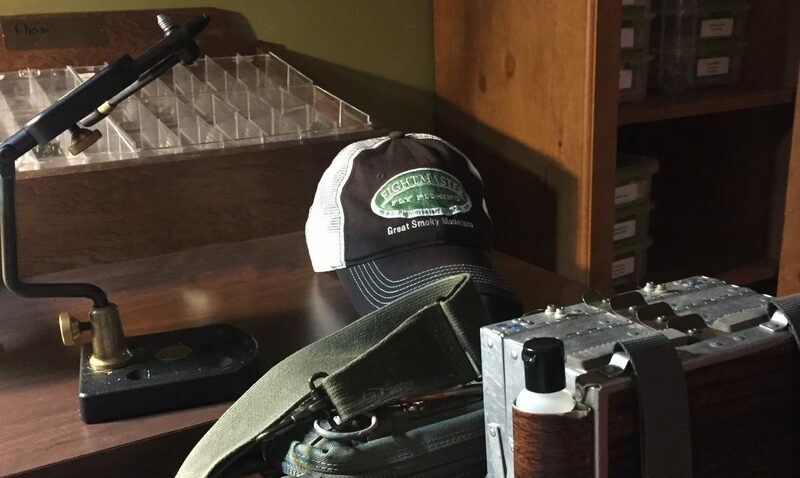 It is derived from the original Adams dry fly. A parachute pattern is merely a method of tying a dry fly. While traditional mayfly patterns had two upright and divided wings, with a hackle wound around the hook vertically; a parachute pattern has a single post with the hackle wound horizontally around that post. The post is typically white or some other bright color like pink or orange, allowing the angler to better see the fly on the water. Additionally, with a hackle wound horizontally around the post, the fly rides flatter on the water with a more realistic profile. The original fly has been around for nearly 100 years. 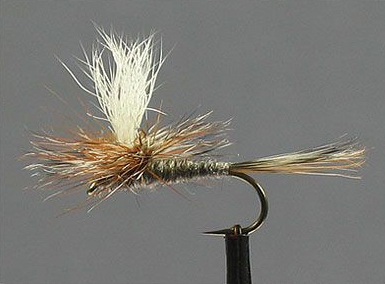 In 1922, Leonard Halladay, a Michigan fly tyer conceived the Adams as a general mayfly imitation. It was first fished by an Ohio attorney and friend of Halladay, Charles F. Adams on the Boardman River near Traverse City, Michigan. 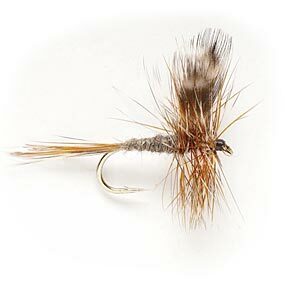 Charles Adams reported his success with the fly to Halladay who decided to name the fly after his friend. While it is unclear exactly when the Adams got the “parachute treatment,” parachute style flies began gaining popularity in the U.S. in 1971 when Swisher and Richards published the book, Selective Trout, and advocated the advantage of dry flies that rode flush on the water. One would assume that the parachute version of the Adams was born somewhere in that timeframe. Since then, it has seen numerous variations in the body color, post material, post color and more. While many of these variations have been highly successful, it’s still tough to beat the traditional pattern. The recipe for that traditional version is included below.